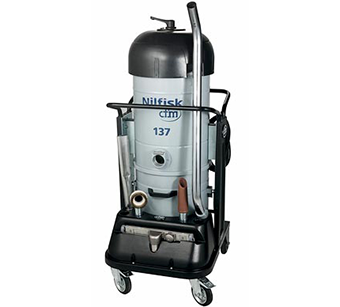 The structure of this vacuum is compact and complete, with a power rating of up to 3,000 Watt. It is also able to clean up liquids. It is used with success in all sectors, from metal- working to ceramics and food industries. The singlephase vacuum is available with 60 or 100 litres container.